Hi friends! Welcome to week two of Fortnight of Fright! 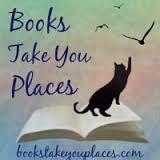 This week we will be sharing a few reviews of creeptastic books with you, and a guest post by Cat Winters!! Make sure you check out what we had last week, A guest post by Dan Poblocki, Eldritch Black, some awesome bloggers AND a giveaway! 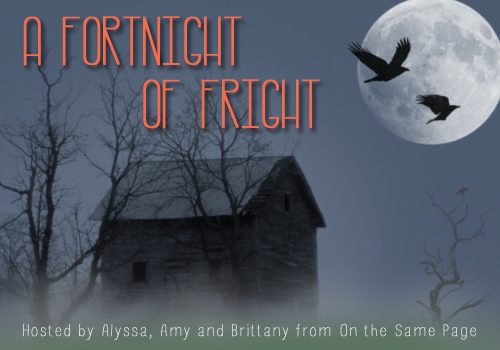 Also don’t forgot to check out what Amy and Brittany have for you on their blogs! One kid’s trash is another kid’s terror in this spooky supernatural mystery. When Cassidy Bean leaves New York to spend the summer upstate, she’s disappointed to find that Whitechapel is not the quiet, pleasant suburb she remembers. Ursula Chambers, the strange old hermit at the end of the cul-de-sac, has passed away under mysterious circumstances. And the townspeople are shocked to discover that Ursula was a hoarder: Her farmhouse is teeming with stacks of newspapers, piles of furniture, mounds of antique dolls and taxidermy animals. Cassidy watches as the people of Whitechapel descend upon Ursula’s farmhouse, claiming her abandoned treasures for their own. She listens as rumors spread that Ursula’s vengeful ghost is stalking the town with a warning from beyond the grave. And when Cassidy resolves to uncover the truth behind the strangeness, she learns there are more bad things in the world than she ever suspected. . . .
Cassidy was a wonderful main character, it was easy to love her and I can’t tell you how much I adore how real Dan Poblocki’s characters feel. Cassidy certainly doesn’t have it easy in New York, and I really felt for her and the way that she needs this escape to Joey’s house and family. Joey is dealing with some issues of his own, most importantly the loss of his dog, and the belief that his neighbor Ursula Chambers isn’t all that she seems. Joey’s next door neighbor, Ping, was incredibly refreshing and fun, I loved the way these three interacted with one another and stood together to face down the “bad things” in the neighborhood. Probably my favorite part of the novel was the addition of Hal and his antics, I enjoyed his character thoroughly. It is no question that I am a big fan of Dan Poblocki, I love everything about the way in which he weaves a story, drawing the reader into the world and moment as his characters experience them. I love being scared, and Dan Poblocki’s novels give me just the perfect amount of moments where I am looking over my shoulder in anticipation. I think The Book of Bad Things is an absolutely perfect read for its intended audience, upon finishing, I fell back to the same hopes that he will write something for adults and soon! The horror wasn’t too horrific, and I enjoyed the way Dan Poblocki weaves the character’s different personalities together to create a much deeper storyline. 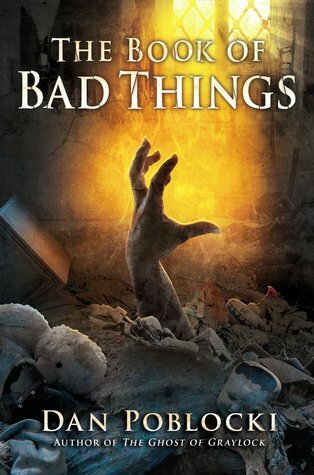 Though a tad less atmospheric than The Ghost of Graylock, The Book of Bad Things is a perfect read for this time of year, it has a great amount of mystery, zombies, and friendship. I cannot recommend Dan Poblocki enough. This entry was posted in Reviews and tagged Fortnight of Fright, friendship, horror, middle grade, mystery, paranormal, young adult. Bookmark the permalink.